First, let me say that this book is just so much fun!!! I laughed. I laughed a lot. But this book isn’t just fluff, it has some real insights into modern friendships, parenting, and relationships. It’s also smart and engaging and has a little bit of a mystery involved. You see, someone is dead. It’s one of the parents at Piriwee Public, and it happened at a school fundraiser. There’s been a lot of drama at the school this year, centering around the parents of incoming kindergarteners. Some are already parents of older kids at the school, like Madeline. Her youngest child (of three) is entering kindergarten, and she herself is feeling the pain of being one of the older parents in the group. It doesn’t help that her best friend is drop-dead gorgeous. And rich, because being gorgeous isn’t enough. And she has, of course, a brilliant handsome husband. And ridiculously cute twins, because luck favors the bold. But does it? Because she has an awful lot of secrets. 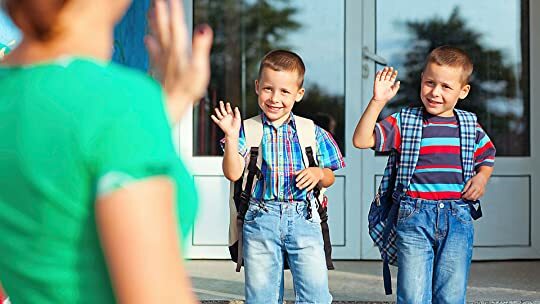 On the first day of school, they meet Jane, who is younger than most of the other mothers – barely into her twenties, new to the area, and feeling a little adrift, she’s somewhat in awe of the other mothers, and becomes the instant victim of helicopter parents when, at kindergarten orientation, her son is accused of hurting another child – an accusation he immediately denies. But Jane isn’t entirely sure if she should believe him. I related to each of the “main” mothers in this story in different ways, and totally saw reality in the crew of others that populated the world of kindergarten parents – from the hippie vegan moms to the moms with au pairs pulling the workload, to the judgemental moms that had something to say about everyone. The mystery in this book is fantastic. I thought every single person was the victim (and the killer!!) before the end, and still wound up totally shocked and surprised in the best of ways. I love, love, loved the characters. This book combines fantastic character development with a tricky and intriguing plot – the best of both worlds. It’s very, very hard to put down, but isn’t a particularly fast read (at least it wasn’t for me). It’s meaty and detailed, so there’s a lot to digest. It’s also spunky and sarcastic and a bright spot in your day when you make time for it. Yes, I think you should read this book. Right away. You can thank me later.